In Hear This, A.V. Club writers sing the praises of songs they know well—some inspired by a weekly theme and some not, but always songs worth hearing. This week, we’re picking our favorite songs from action movies. Neither the real McDonald nor his Yacht Rock equivalent could resist the pull of Hollywood forever. In 1986, the voice of The Doobie Brothers’ most velvety tunes released “Sweet Freedom,” the theme to the Billy Crystal-Gregory Hines action-comedy Running Scared. Confusingly, the Running Scared soundtrack actually features a song called “Running Scared,” a harder-edged track by The Tubes frontman Fee Waybill that’s more spiritually in tune with the story of two Chicago detectives trying to bust a local mob kingpin. 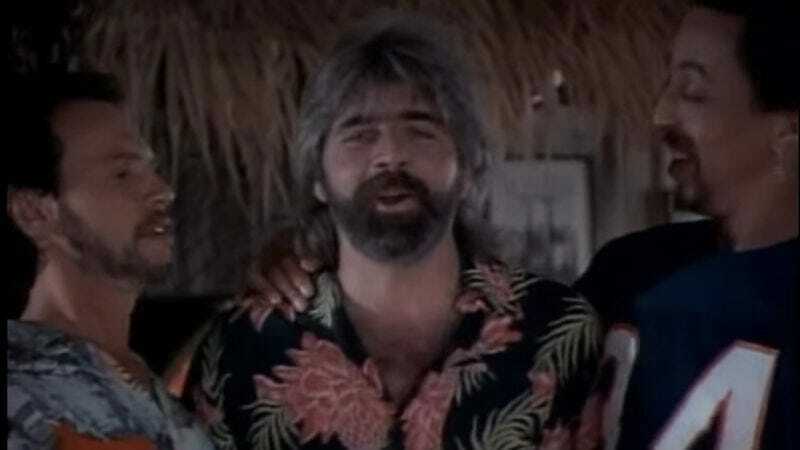 McDonald’s tune, however, syncs up better with the high-concept that differentiates Running Scared’s protagonists from other pretenders to the Axel Foley throne: Costanzo (Crystal) and Hughes (Hines) hope to extend their department-mandated vacation in Key West (poor guys) into a permanent break from the force. That’s where McDonald and his buoys-and-booze form of blue-eyed soul come into play, with a glittery production assist from “Thriller” writer Rod Temperton. Temperton couches McDonald’s song in a very mid-’80s vision of life in a tropical paradise, all Miami Sound Machine horns and “All Night Long (All Night)” polyrhythms. Temperton also calls on the secret star of any ’80s action-movie theme: Percussive synth-bass, the same plunking texture Giorgio Moroder laced throughout Top Gun hits like “Danger Zone” and “Take My Breath Away.” That sound united McDonald and Loggins in their Hollywood work for ’86—though not as succinctly (or, as the case may be, smoothly) as Yacht Rock would have you imagine.